Uno Kitchens did a great job and were extremely helpful from start to finish. Our Kitchen looks really lovely and our kitchen designer, Veronica was great at coming up with useful suggestions and tips. The installation went extremely smoothly despite being only a week before Christmas. We had a problem with the tap we ordered not fitting the space correctly due to its design. Uno quickly resolved the problem, ordered a replacement and fitted it in time for Christmas Day! My wife and I ordered our kitchen with Uno Kitchens in September 2016 after visiting many similar suppliers. What set them apart was their fantastic service; we were very impressed with the knowledge and attention to detail. 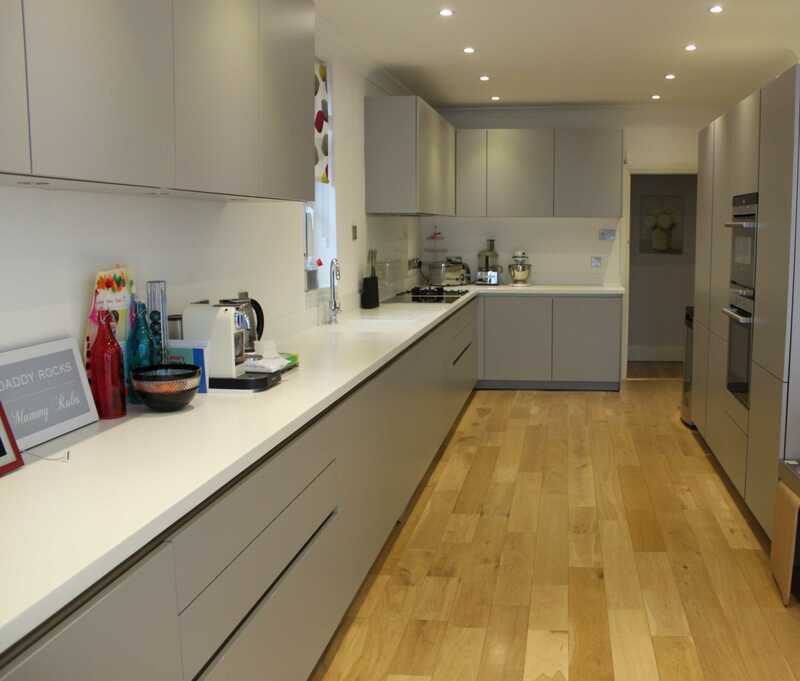 Veronika designed the kitchen in line with our exact requirements, giving us several helpful hints and tips with regard to location of appliances and getting the best of our units in terms of everyday practicality. Veronika also ensured that the kitchen was symmetrical and that the heights of the worktop were customised exactly to suit our needs – fantastic when your clients are OCD! The visuals of the kitchen were superb quality and from that moment on, we were not going to order anywhere else! Price is obviously crucial in any decision and comparing similar quality kitchens, Uno was the most competitive. Most importantly, we both genuinely felt, and still feel that Uno genuinely care about our kitchen. A perfect example of this was Veronika coming over to our house to ensure our island lights were positioned perfectly (this included persuading the builders too!) to give the kitchen that ‘wow factor’ that we all dream of. The kitchen itself arrived early and was of the quality we were expecting. Installation was painless, the installers worked without fuss and were diligent with their work, meticulously sticking to the detail in line with the plans. This also extended to the stone supplier who was beyond helpful with advice for other parts of the house too. After the kitchen was completed, Tina and Veronika both made a special trip to come and see the finished article. They were probably more excited than we were to see it and kindly left some samples for splashbacks so we could decide in our own time. We have already recommended Uno to our friends and family and we didn’t create a kitchen, we created friendships as well. Rest assured, this is a company that will go above and beyond to ensure that you’re happy! Thank you Uno Kitchens Veronica Tina and Anil for my fabulous kitchen. You were amazing with ideas and planning and the whole thing went without a hitch. A special thanks to Anil who went the extra mile by sorting out the floor for me which had been incorrectly laid by someone else! Uno Kitchens have done an outstanding job in creating a superb kitchen for me and my family to enjoy daily. My kitchen looks amazing, the colour and modern design created by Tina and fitted by Anil is perfect, they have done a great job in capturing what I was looking for and it fits nicely. Thank you Uno Kitchens – Tina and Anil, for making my life easy by creating the look I have always dreamed of, using the facilities daily you have made the right decision for me by putting my kitchen together that works well for me and I thank you once again. We were thrilled with everything about this project. A very patient Tina put up with a very undecided client, then delivered an exceptionally beautiful and function kitchen to a very sensible budget. Top marks from beginning to end. By the the best bit of our house has to be the kitchen! Uno did a fantastic job helping us design it in the first place and the finished product is incredible. I wouldn’t hesitate to recommend the Uno team for anyone wanting an outstanding service (from design, to supply, to fitting!). Tina, Anil and Reshma worked very hard on our Kitchen Design. We did many changes and were a pain for them but they did a great job in both design and build. Great personal service. Anil worked well with my builder and accommodated everything we wanted at the right price for us. After sales service was excellent as well as we still had a few snagging that was dealt with very well. I approached Uno Kitchens initially for a kitchen only. After meeting the director I had them quote for my build as well. Very pleased with the kitchen and the finish for the renovation work they carried out. I would not hesitate to recommend them again. The entire team were a pleasure to work with. Thanks to everyone and team Uno. I wanted to thank Uno kitchens for designing, measuring, and fitting an outstanding kitchen. 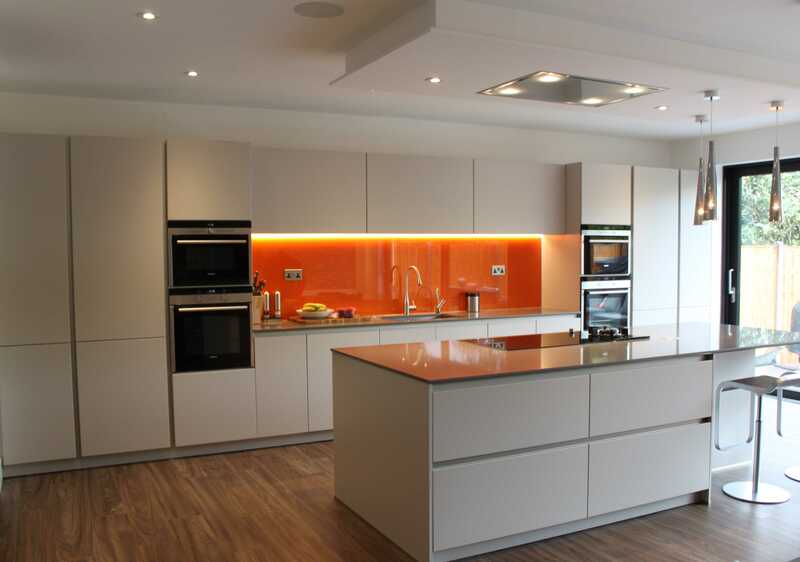 The choice of colours, designs and finishes are enormous and your level headed and professional approach helped me to choose my amazing kitchen. You always had time for me no matter how indecisive I was at times. I would recommend Uno Kitchens to family and friends. Tina, Anil and the team at Uno were fantastic from start to finish. They worked with us to create our dream kitchen that works perfectly for our family and completes our home. They dealt with any follow up settling issues speedily and were always a pleasure to deal with. A huge thank you to Tina and Anil for my beautiful new kitchen. My brief was that I wanted a ‘wow’ factor, and they have delivered in spades. Not only is the kitchen a feast for the eyes, but it is exceptional quality and incredibly well-planned, both inside and out. It’s a joy to work in and I never realised just how much I would gain by this project. Tina and Anil are sticklers for detail, and no little point that needed attention was too much trouble. We couldn’t be more delighted.